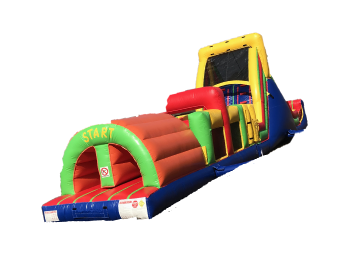 This is a huge 52 foot inflatable obstacle course. It comes with dual lanes, so that 2 people can race at once. 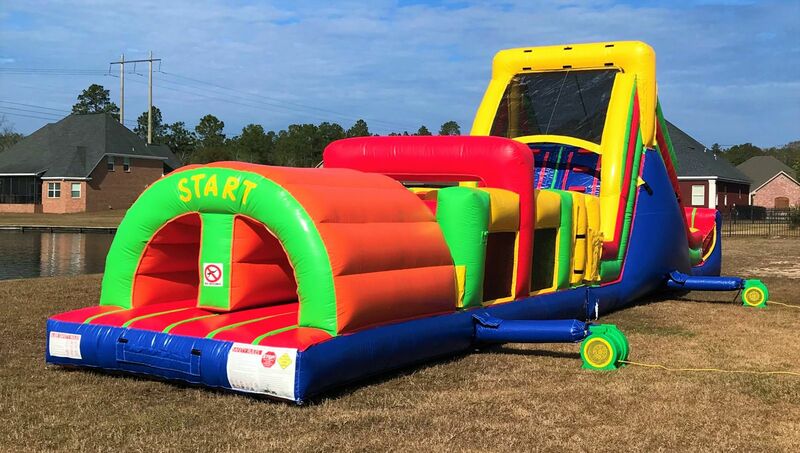 This unit is tons of fun for any event. You will need 2 power outlets avaiable within 75 feet of the unit. We offer free delivery to North Mobile county (Saraland, Satsuma, Creola, Chickasaw, Eight Mile, Turnerville, and select areas of Mobile). Call, text, or email if you fall outside of these cities to see about delivery.